Looking for something healthy, filling and good for you? This is one of the tastiest healthy recipes I've ever found. Yum sauce is a fabulous, nutritional meal that offers gobs of protein without containing meat. I made this for my grandson for dinner. When he saw all the vegetables and the sauce he said, "Yuck!" But then I put a little on his rice and he decided it was delicious and wanted seconds. Great recipe, I plan on taking it to school for lunch for the next week or so. In a blender, combine the above ingredients and blend until it becomes a smooth paste. Blend until all of the above is smooth. Serve over brown rice and top with as many different vegetable toppings as you wish. This recipe makes 2 1/2 cups and will keep in the fridge for up to two weeks. 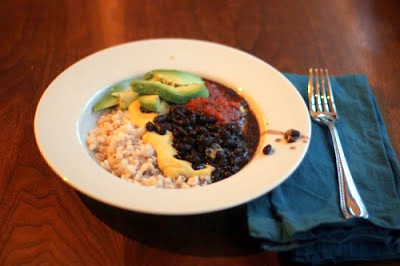 For more inspiration go to www.cafeyumm.com to explore their recipe options!